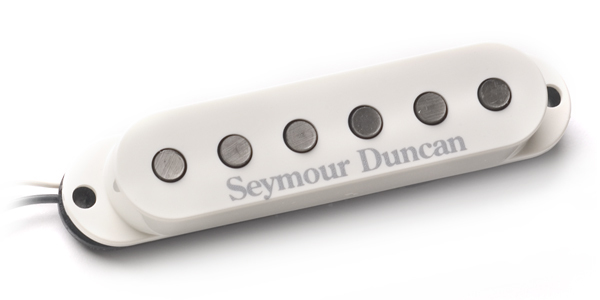 The Seymour Duncan SSL-5 Staggered Pickup is the Seymourized version of the SSL-1 pickup. It has distinct vintage tone combined with a stronger magnetic field and custom coil for higher output, more sustain, and great harmonics. Perfect for those looking for a Gilmour tone. Alnico 5 magnets, 13.3K DC resistance.